Combining fresh ideas with an informed understanding of a historic site, and its potential, makes a world of difference. Cultural heritage site planning is strategic. It’s based on respecting integrity and authenticity, and enhancing a place to conserve its qualities and to activate its purpose. I'm a Canadian and an Australian, living near Wakefield, Québec, Canada. Enjoying challenges, I've been a part of hundreds of projects that are wildly different, yet all interconnected with their heart in cultural heritage. Overseeing demanding projects in diverse cultural contexts requires understanding, adaptability and tenacity. I've been in private consulting practice for decades, and have also held senior staff positions with international philanthropic organizations, such as the Getty Conservation Institute in Los Angeles. I've lived on 5 continents, undertaking projects at hundreds of cultural and natural sites internationally ~ urban centres, industrial complexes, parks and national monuments. Since 2000, my projects have focused on aligning cultural tourism practices to resource protection and heritage interpretation. I work in several capacities: cultural tourism planner, architectural conservator, project manager, interpreter and educator. My roles are flexible: I undertake independent assignments, or will lead the efforts of a team, or am also often a collaborating team member. All projects are interdisciplinary. As a field specialist, I enjoy developing and implementing well laid plans for sustainable results. Adaptability and creative approaches advance success, but comprehensive planning, responsiveness to people, and developing priorities, makes the difference. In all stages, my approach is resourceful, rational and site specific. My architectural conservation work minimizes intervention in historic fabric. My planning work is strategic, and developed to enable long term, action oriented results with clear management directives. The following summarizes a few of my projects. More project site photos and descriptions can be found by selecting a location from the bottom menu. 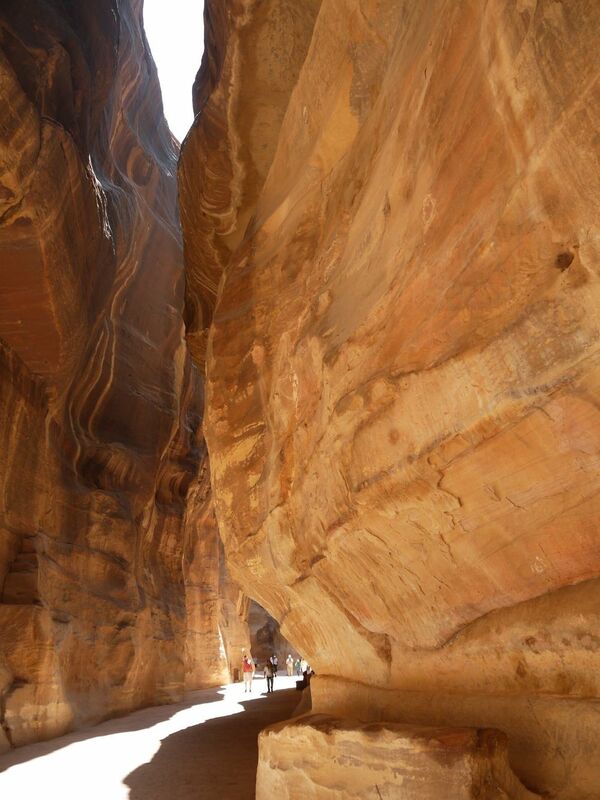 Team Leader for Petra based collaborative projects including the Operational Priorities Plan, the Petra Trails Plan, the Petra Conservation Action Plan, Archaeological Research and Excavation Regulatory Guidelines and the Beidha Visitor Interpretation Plan. Work is ongoing in 2018, having been associated with the Chemonics / USAID Building Economic Sustainability Through Tourism Project in partnership with the Petra Development and Tourism Region Authority and others for a decade. Team member in the Community Development and Income Generation Programs Project for 5 villages in the Bagan / Nyaung U District. The study defines strategies for economic development, community resilience and shared stewardship of cultural heritage resources. Undertaken with G. Hirata + Associates for the Japan Fund for Poverty Reduction with the Asian Development Bank, in partnership with Myanmar's Ministry of Cooperatives and Mandalay Division authorities. Team Leader for planning and development work to transform a downtown archaeological site into a renown national attraction. This included completing the country's first participatory Site Conservation and Management Plan, and directing the Citadel Visitor Improvement Project. The site improvements recovered parts of the site's significance and introduced pathways, signage, a visitor arrival and amenities gateway, lighting, parking and event staging areas. Undertaken from 2007-2010 with Chemonics / USAID Siyaha Tourism Development Project, Greater Amman Municipality, Ministry of Tourism and Antiquities and the Department of Antiquities. The Lead Sites consultant for the Heritage Sites Tourism Appraisal as a part of the Guide for Site Development in the West Bank, centred on assessing natural and cultural sites for readiness, value chain potential and competitive impacts of business environment reform. Field work was conducted in 2012-2013 with DAI / USAID Compete Project in partnership with the National Tourism Working Group and the Ministry of Archaeology and Cultural Heritage. Team Leader and site implementation advisor for the Visitor Presentation and Site Improvement Plan, and the site's Standard Operating Procedures. Plans included the revitalization of the Visitor Centre, changes in site pathways, introduction of interpretive signage and integration of restoration work to the built and natural heritage. Undertaken as part of the Chemonics / USAID Siyaha Tourism Development Project in partnership with the Ministry of Tourism and Antiquities, and the Department of Antiquities. Team Leader for the Urban Conservation Strategy and its implementation. Project design and execution of conservation / rehabilitation of medina sites forming the stimuli for local urban revitalization initiatives. Work undertaken from 2000-2004 whilst ARCH Foundation's Conservation Director, with diverse local and international partners. Please use the following form to contact me directly. I welcome your interest or questions. I'll reply at the earliest opportunity. If reproducing photos, please credit L. Anglin. Google Earth views and graphic plans or drawings are copyrighted and not for reuse.